Twitter is extending the length of Vine uploads for a select few users to 140 seconds, and making the same format available to all on Twitter proper. There’s also a new iOS app called ‘Engage’ to help you track analytics. Previously, Twitter supported videos of 30 seconds or shorter, and Vines were limited to six seconds. 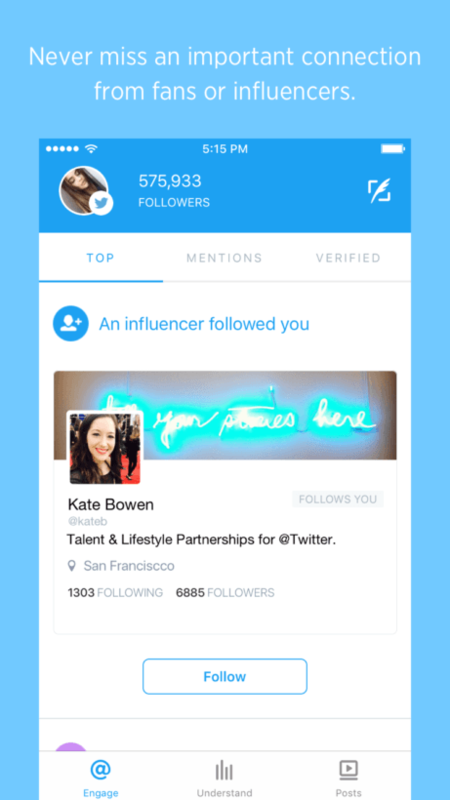 Engage is meant for ‘influencers,’ but anyone can download and use it. Twitter’s aim with Engage is to help creators engage their audience better, and provides detailed real-time metrics so you can grow and retain your audience. In many ways, it’s a bit like Tweetbot for video. 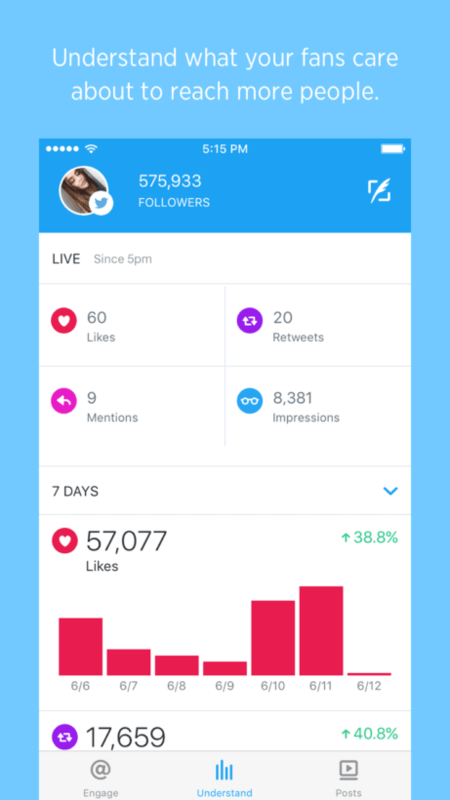 You can discover how many likes, new followers and retweets you have (cumulatively), and see video view counts and how many users engaged with those videos. The 140-second videos are also coming to Vine, though not quite as directly. The six-second format will stay, but they can now act as ‘previews’ for 140-second videos. A new ‘watch more’ button will surface on some Vines that extend beyond the six-second timeframe. An example might be a Vine of someone falling, which loops normally. A ‘watch more’ button would launch you into a longer video that has more context; perhaps the fall happened because a child tripped the person. You can even double-tap to ‘like’ the parts of a video you enjoyed, as often as you want. If you don’t hit the ‘watch more’ button on a Vine, nothing changes; you’l still see a series of looping videos. Vine says it’s testing the feature with some of its more well-known influencers, but plans to roll it out widely in the future. It’s also a monetization strategy for those in Twitter’s Amplify Open program, which will soon open up to Vine. Discovering videos is also changing. Opening up a 140-second video — on either Twitter or Vine — will launch you into a full-screen view with suggestions for similar videos. 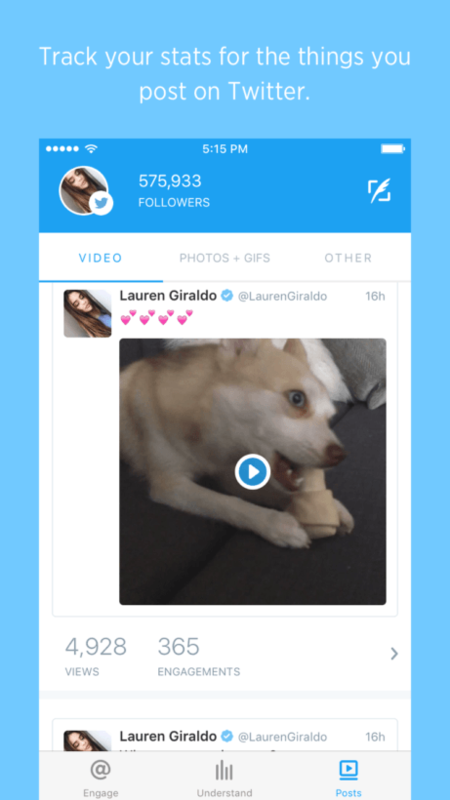 It’s not clear if Twitter is also making search better for videos, which has been notoriously difficult on Vine. For now, it wants to simply keep you locked into a series of two minute video snippets. Twitter tells TNW it’s making its Engage app available today on the App Store in the US, and the new long-form videos can be uploaded after an update. The new full-screen video discovery feature will roll out soon for both iOS and Android. It’s hard to decode what this may mean for the future of either platform. On one hand, Twitter really needs a stronger video presence, and CEO Jack Dorsey alluded to more attractive offers for creators in a shareholders letter earlier this year. On the other hand, it’s singularity where I can’t say any was needed. Vine’s six-second frame — regardless of what you think of it — is its identity. Moving beyond that could prove problematic, especially as the line between it and Twitter blur. Perhaps a smarter move would have been to create a ‘watch more’ button that sent viewers to Twitter rather than confuse the vine experience. We’ll be interested to see how users take advantage of the feature moving forward. For now, it’s a bit of a trial period for all involved.